The intense and justified desire of stakeholders to have uninterrupted electricity power recently received a shock from the Nigerian Electricity Regulatory Commission (NERC), the regulator of the power sector when its Acting Chief Executive, Tony Akah, was quoted to have told members of the Senate Committee on Privatisation that without an increase in electricity tariff or a subsidy from the government, Nigeria would not be able to get steady power supply. He attempted a justification of his position by employing the now old-fashioned arguments of destruction of gas pipelines, huge cost being sustained by power companies, foreign exchange scarcity and fall in the rate of the local currency, Naira, lack of cost-effective tariff or subsidy or incentives that would induce the power companies to commit more money to the sector. Akah’s solutions include a hike in electricity tariff or provision of subsidy or incentives in the form of tax holidays. He equally proposed that cheap bonds should be provided for the power companies to prevent them from passing high electricity bills to consumers. In proposing subsidy as a solution, he was reported to have asserted that since the petroleum sector was still enjoying subsidy, it would not be out of place for the power sector to enjoy subsidy from the government. He crowned his obvious desperation to advocate and obtain tariff increase for the power operators with the point that “….in the absence of subsidy coming in, in the absence of other mechanism coming in, we (NERC) are bound under the law to provide a tariff that will recover cost of investments.” He was also certain that in the event of no increase in electricity tariff or provision of subsidy or incentives, he has no better ideas on how to make progress with the mandate of his Commission. It is noteworthy that despite this advocacy on behalf of the private power companies, Senator Ben Murray-Bruce, chairman of the Senate Committee on Privatisation, was reported to have impressed on the NERC the salient fact that most workers in Nigeria have not had pay/wage increase in years; workers operate in the same economic environment as the power companies who want a 200 per cent increase in electricity tariff and also that several businesses in the country have been operating under the same conditions, but have not increase their prices. Beyond this factual position, it is necessary to point out that the government have unduly indulged and supported the power companies since privatisation. Through the Central Bank of Nigeria (CBN), government first provided them the Power and Airline Intervention Fund operated through the Bank of Industry at a concessionary interest rate of seven per cent per annum. Many stakeholders questioned the rationale for such provision of the fund which balance as at end of December 2015, stood at N249.6 billion. It is rather unfortunate that these huge tax payers’ funds to the privately-owned power companies have failed to provide the much needed “viable and sustainable domestic energy” in the economy. All Nigerians have received are ‘no power’ and ‘endless excuses,’ now followed by the ‘threat’ that, except tax payers continue to make more funds available, power would remain elusive. Clearly, the power companies that emerged from the privatisation exercise lack the capacity, in all ramifications, to achieve the objectives of privatising the assets. This situation throws up many questions. For instance, was due diligence conducted before reaching the decisions that produced the companies that won in the privatisation exercise? Did the country do its homework very well to ascertain the problems intended to be solved and was it convinced, beyond all reasonable doubts that the chosen power firms would provide the solutions? How objective and transparent were the processes that brought about the bid winners. It is advisable that when next the government has the need to embark on serious projects of national interest, enough due diligence backed by non-controvertible practical evidences should be taken into consideration. Essentially, these call for good governance at all times. Given the difficulties of these times, nothing can justifiably support a tariff hike in the power sector. Practicable ideas on how to revive the economy for sustainable growth are required. What the power companies must do as privately owned organisations is to access the CBN intervention funds or access the capital market for equity and/or bonds. Except their owners are running away from dilution of their shareholding, the Nigerian Capital Market will welcome them. Investment wisdom dictates that one per cent share holding in a performing company is far better than 100 per cent ownership of a non-performing business. The companies must also build up their capacity in human capital, equipment and technology resources. 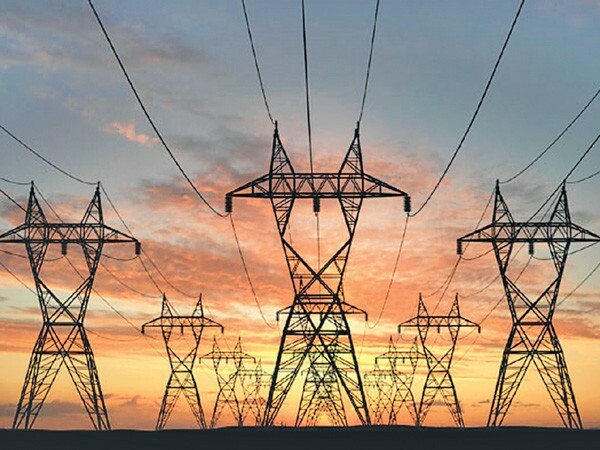 As for the government, it is high time an integrated power mix was pursued. The country is in a position to tap from solar, wind, hydrocarbon resources alongside gas to bring light to Nigeria in significant quantity and quality levels. Besides, the government has the right to diligently find capable power companies across the globe and license them to get this electricity deficit stigma off the neck of Nigeria. It is also incumbent on government in its bid to improve the power situation, to pay attention to how the federating units in the country should be empowered to provide power within their areas of jurisdiction. The competition this will bring about will produce better services to the consumers.